The healthcare industry’s constantly changing environment presents unique challenges for technology and information security. Electronic health records (EHR) have become the method of choice for managing patient data. A patient’s healthcare record enables medical personnel and associated support staff to access a patient’s record from any place with a connection to the internet. These new methodologies and applications have opened up new ways of managing healthcare and along with that, new vulnerabilities and risk to EHR’s. Ensuring the security of these records is crucial to an organization. The Health Insurance Portability and Accountability Act (HIPAA) Privacy and Security Rules define requirements for the appropriate use and security of protected health information (PHI). The HIPAA Security Rule’s requirements are organized into three categories. These are Technical, Physical and Administrative Safeguards. These safeguards are further sectioned into “Addressable” and “Required”. Addressable requirements are considered to be scalable and are based on the needs and practices of an organization. Required requirements are critical and must be implemented. 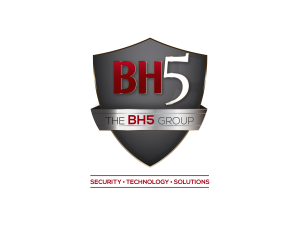 BH5 can perform an assessment to evaluate an organization’s compliance with the HIPAA Security and Privacy Rule requirements as well as your organization’s overall security posture. BH5 has worked successfully with organizations that manage patient data and has provided expertise and guidance on how to protect patient data. The need for increased security and privacy of EHR. Employing Risk Management techniques and methodologies to minimize the risk to health records. Compliance with Healthcare regulations such as the Health Insurance Portability and Accountability Act (HIPPA). Ensuring business functions not only meet patient demands, but also are compliant with HIPPA.